So far, 14 different actors have played The Doctor in the BBC's television show "Doctor Who". This cross stitch pattern features all 14 in their most iconic costumes, as well as the Tardis, the Doctor's time-machine. Who's your favourite Doctor? This design includes whole stitch, fraction stitch and back stitch, and is suitable for beginner stitchers. GREAT pattern. Clear and complete instructions. 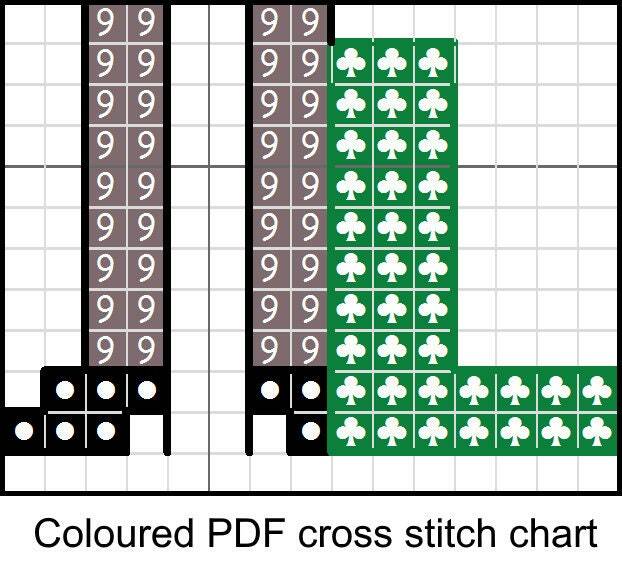 I love the extra chart that just shows the backstitching. It has been very helpful. I am enjoying this project so much! brilliant - just as described ! I loved every stitch of this one! Love this pattern! I made a clock with the 12 Doctors, and it looks amazing. The pattern was very detailed for the size, but it was easy to follow. Great Doctor Who cross stitch pattern. Love that it had the 13th Doctor already included. Looking forward to the finished product. Thank you so much!